The effect upon character is one of the most important results that can accrue from spiritual knowledge. Abstract intellectual knowledge is like an artificial root; it has been constructed by the intellect — no plant can grow from it. This is true of all the scientific knowledge that men respect and revere to-day, useful though it be, and by no means to be disparaged. From a real root grows a real plant; and from a real knowledge, whereby man can unite his spirit with the Spirits of the World, grows little by little the complete man who knows what true selflessness — selfless love — is, and what egoism is, and from this understanding derives impulses to act and work in life — the impulse, where it is right, to be selfless; or again, where he perhaps has need to draw forth something from his own being in preparation for life — there, openly, without any disguise, to develop egoism. 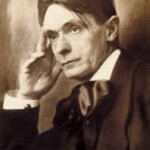 Dit bericht is gepost in meditation, Rudolf Steiner, spirituality. Bookmark de link.